Deadline-driven project work and stressed-out managers are taking their toll on IT workers across the UK, with nearly two-thirds claiming to have been bullied, says trade union Unite. A survey of 860 IT professionals showed 65% believed they had been bullied at work, and 22% had taken time off work because of stress caused by bullying. Staff reported unachievable deadlines, excessive monitoring and supervision, and constant criticism on minor matters. More than half said they had been bullied by a more senior member of staff. Bullying has forced some workers to leave their jobs, causing problems for managers in an increasingly difficult recruitment market. One woman quit after she received e-mails last thing at night with work to be done for the next morning, was given impossible deadlines to meet, and was ridiculed in front of her colleagues. Unite national officer Peter Skyte said, "She didn't report the problem because she felt she couldn't face it. She lost weight and went off sick, and we only learnt about the case after she left the company." The survey found many victims felt unable to report bullying because of fears that it would get worse, or because they thought their complaints would be dismissed as an inability to cope. Cary Cooper, professor of organisational psychology and health at the University of Lancaster, said, "Most bullying is not malicious - it is because managers are overloaded and can't cope." Professor Edward Truch, chairman of the BCS Management Forum, said IT departments were becoming more pressurised. "Clients realise the benefits of a programme and their expectations are raised, but they still want the project delivered within the same budget and timeframe, thereby putting pressure on delivery teams," he said. Project managers need better soft skills, said Denise Plumpton, IT director of the Highways Agency, and managers must communicate better to the business how complex a project might be, so they are not put under such pressure. "Sadly, many IT professionals, while being technically brilliant, focused and driven to achieve, do not have a sufficient balance of the 'human touch'," she said. "Much training and development that goes into a project manager will be about process and technical matters, rather than team leadership." • Tell your manager the effect their behaviour is having on you. • Speak to colleagues to see if they are experiencing the same thing. • Keep a log of all bullying instances. 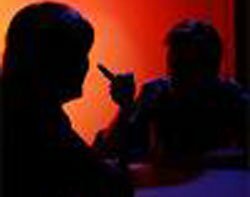 • Write a memo if you feel you cannot confront the bully. • Keep copies of anything referring to your inability to do your job. • Try to avoid being alone with the bully and try to get witnesses to incidents. • Try making a collective complaint with colleagues. • Check any new responsibilities you are given with a copy of your job description. • If nothing changes, report the problem to HR. Source: Professor Cary Cooper, University of Lancaster, and Unite.